Today, we’re talking with Cambridge LSAT, which provides a variety of real LSAT content for your study needs. 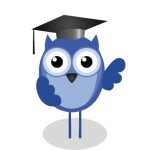 Could you talk a bit about Cambridge LSAT: What’s your philosophy? What type of instruction do you offer? How are you different from other LSAT prep courses? Our company was founded with the intent of putting high-quality, authentic LSAT prep into the hands of those who choose to study independently or under the guidance of a tutor. We strongly believe that many of the skills which translate to LSAT success are learnable through focused prep work consisting of actual questions coupled with thorough review. When we launched the website, there weren’t any companies providing instant download access to real LSAT content. You’re not forced to sit through hours of lecture, nor are you assigned homework which may or may not address your weaknesses. You can buy as little or as much as you like, tailored to your situation. Best of all, you can work through your materials on your schedule, without all the hassles of driving somewhere for a class. You can also purchase 5-section tests through our site which are invaluable to preparing for the grueling length of the exam. What type of student is most likely to benefit from taking a Cambridge LSAT course? We don’t offer prep courses in the traditional sense. 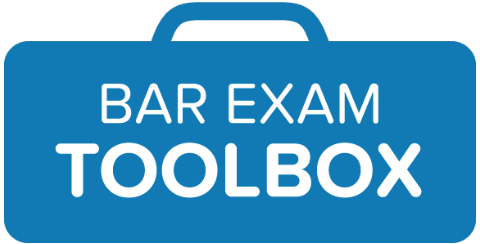 Instead, we provide products consisting of actual LSAT questions, books which help you make the most of your practice, and tools to track your ongoing progress. Our offerings are more flexible than those of many of the other companies because they can be used along with other companies’ methodologies and guides. Our students tend to be self-motivated and focused in terms of their target scores and/or target schools. People who need the structure of an actual in-person class will need to look elsewhere. That’s not to say that such students won’t be able to find use in our resources. For instance, they can use our test tracking spreadsheet to diagnose and target particular areas of weakness. They can also use our consolidated answer keys and conversion charts to quickly grade their tests without having to tear pages out of their books. Lastly, students enrolled in classes may need some extra practice problems or PrepTests, which they can easily acquire through our site. Think about your learning style and the teachers you’ve gotten the most from in the past. Are you looking for a fast-paced environment which breezes through the material and puts most of the emphasis on homework and outside study, or do you prefer a classroom style which covers each aspect of the test in great detail and gives students ample opportunities to ask questions? No matter your preference, understand before you invest in a prep course, that there will be a substantial amount of work and commitment required outside the classroom. Some of the factors you’ll want to consider about the various courses are class sizes, teachers, comprehensiveness of the curriculum, quality of the materials, etc. At the very least, ensure that the course uses actual LSAT questions from previously-administered tests. If not, then you need to eliminate that course from contention. Real LSAT questions have undergone extensive testing prior to ever appearing on an actual exam, and consequently, they’re extremely difficult to replicate without simply copying the structure and changing the subject matter. Some companies will allow you to sit in on a class (hopefully with the relevant instructor) before enrolling. This is ideal, as it will give you excellent insight into how your learning style will mesh with the instructional style. Students should expect to spend at least three months preparing for the exam. Some students may need more or less time to prepare, depending on their natural abilities, their starting points and target scores, and the amount of time they can allocate to studying. It can be done on top of school or work, but it can be tough to maximize prep time effectiveness in such circumstances. For instance, working through problems after a long day at work could be counterproductive. For some, fitting in a bit of LSAT prep before work may prove beneficial in terms of ensuring optimal brain function. Be consistent. Much like working out, improving your performance on the test requires that you regularly work through and review real test material. Understand that proper preparation is not like a sprint; it is more akin to a long-distance run. You cannot “cram” for the test and hope to do well (unless you are already blessed with a strong aptitude for it). If you find yourself slipping from your preplanned prep schedule, you must find the motivation to get back on the horse so to speak. When the task of prepping becomes too much of a chore, put things back into perspective: realize that your performance on the test can make a significant difference in your acceptances, scholarship offers, and future earning potential. Be thorough. This is one of the most important, and often overlooked aspects, of effective LSAT prep. It’s not enough to look at a question you missed and say to yourself, “Duh, I see why that’s wrong.” Go a step further and articulate exactly what makes the four incorrect choices wrong. Break down the question to its essentials so you can avoid the same kind of mistake on similar questions in the future. Keeping a journal of some sort in which you detail mistakes made is a great way to solidify various repeating concepts and ensure that you are truly wringing every bit of value from each completed question/game/passage. In short, prioritize quality over quantity with your prep regimen. Don’t burn out. It’s easy to get wrapped up in taking tests and lose sight of the big picture. Some people tend to dive into LSAT prep with the mindset of plugging through as much material as possible, but this approach can rapidly lead to diminishing returns, and eventually burnout. If you find yourself stuck in a rut or even moving in a downward direction, take a step back. Your prep work can only be as effective as your mindset. Make sure you’re not just going through the motions and taking test after test. Figure out what areas are tripping you up, and target those problem types. Also, when creating your prep plan, leave room for breaks; it’s important to refresh your mind after intense study sessions. It will be easier to avoid burnout if you keep in mind that familiarity with the exam and exposure to questions can only take you so far in your mastery of it. It’s the quality of your prep work that will make the biggest difference in your subsequent performance. Thanks! Love the journal of mistakes idea. Painful, but effective! Cambridge LSAT launched in October of 2009. It quickly gained momentum and became the go-to site for instantly downloading Official LSAT PrepTests. 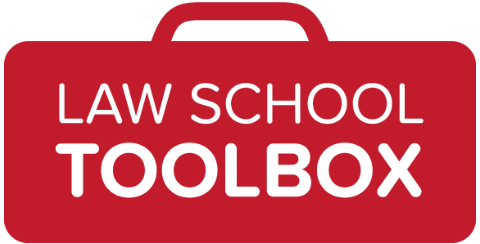 Three years later, the site continues to offer flexible/convenient LSAT prep and features the most comprehensive selection of downloadable prep materials. Connect with them on Facebook at CambridgeLSAT and Twitter @CambridgeLSAT.